Jeremy has a serious problem – he is too intelligent. His teachers are so convinced of his genius that they believe he should change schools to attend a special high-school for gifted an talented children !!! Our heroes are in a tight spot. 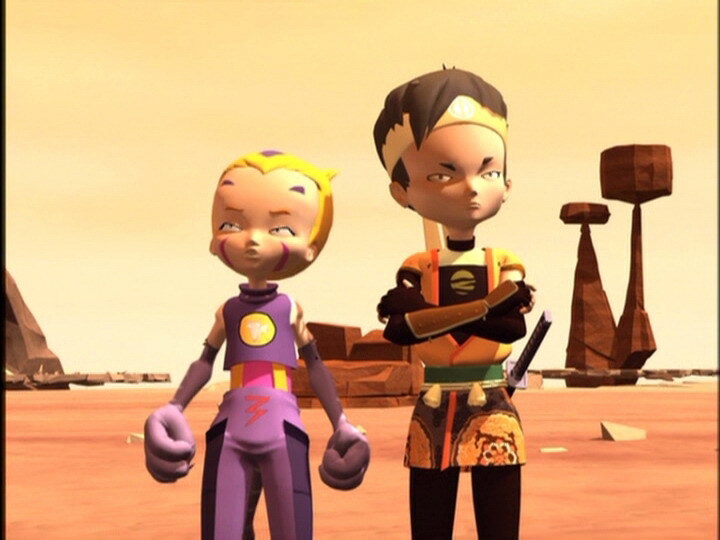 Without Jeremy, they may as well give up the fight against X.A.N.A, and any hope of bringing Aelita to life. Jeremy has decided to fail all the tests he is going to be forced to sit on purpose. While he’s stuck in exams, X.A.N.A has transformed the school’s rat population into an army. How will our heroes overcome them without Jeremy ? At the school, Jeremy worries: the psychologist has been monitoring him for a long time and wants him to take some tests to see if he really is gifted…the brainiac obviously isn’t the least bit interested in being sent to a special school…his place is at Kadic to fight XANA… Resigned, he meets the adult in the library while all the other students are in the cafeteria. 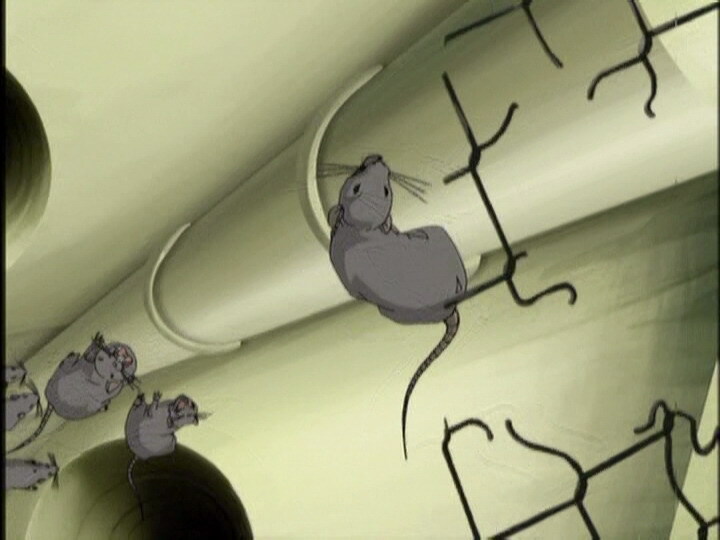 The ubiquity of the rats is stifling and the Lyoko Warriors struggle to reach the abandoned factory. Yumi virtualises her two comrades guided by Jeremy over the phone. Aelita is finally able to reach and enter the Tower. At the school, the psychologist and students hidden on the roof see the sharp fangs of the rats approaching inexorably…all are saved by the deactivation of the Tower and the Return to the Past. - Attack: Take control of an army of rats to devour the students and block access to the factory. - First appearances of the psychologist Hans Klotz, Rosa Petitjean and Christophe M’Bala. - First episode in which Yumi virtualises her friends. - Jeremy is gifted and struggles not to be sent to a special school more fitting to him; his parents wouldn’t miss the opportunity for him to have a big scholarship to a school for the gifted. 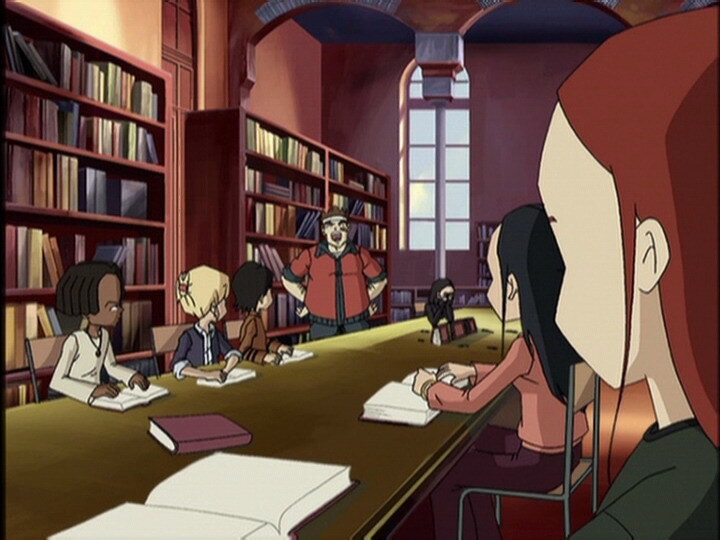 - How can Yumi communicate with Odd and Ulrich without the microphone? - Just before the Krabe explodes, the leg Yumi cut off reappears. - In one scene, the door barricaded by Jeremy and Mr Klotz isn’t there anymore! - When Sissi enters her room, the handle of her door is on the right instead of the left. 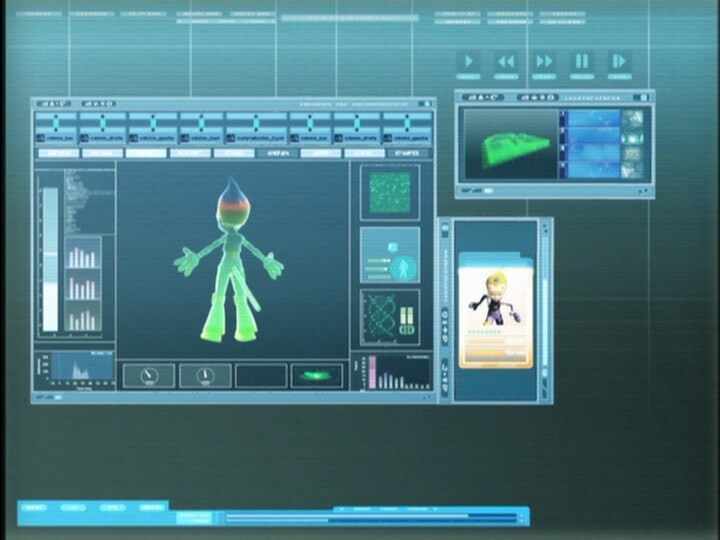 - After Jeremy has communicated with Aelita and needs to call Yumi, it’s not his phone we see but Yumi’s. - During the return to the past, the doors of the science building are open when they shouldn’t be, and the tree knocked down by the rats has disappeared. - The psychologist tells Jeremy his name is Mr Simone, but according to official documents his name is Hans Klotz. - Jim says that the science building is the only one without access to the sewers. 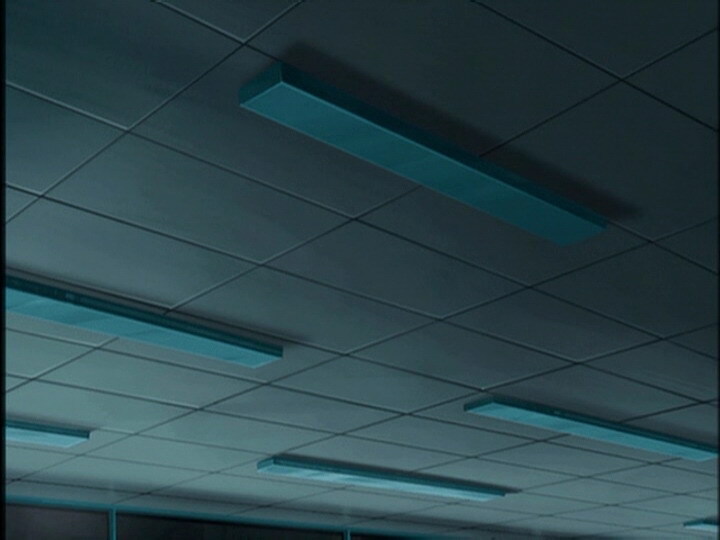 In several episodes, the laboratory classrooms have sinks. - During the battle, a platform is turned to a vertical position. 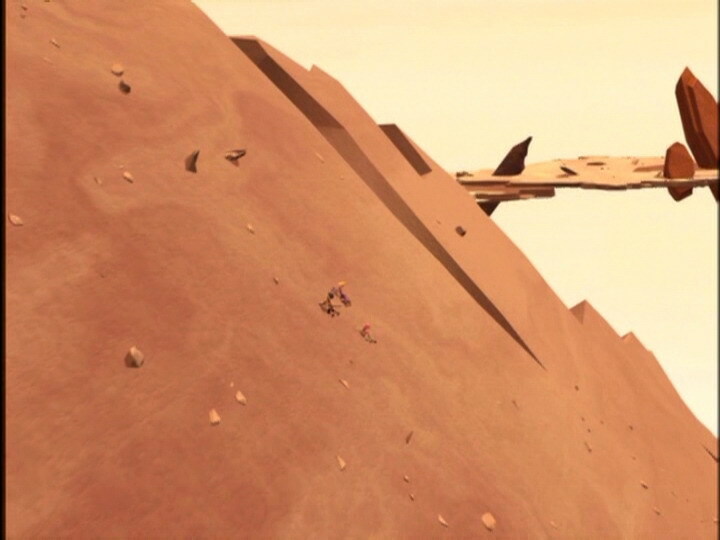 At one point Aelita and Yumi are on a platform sticking out of it near the bottom. When the Krabes are defeated, they somehow manage to get to the tower and we don’t know how. - This form of attack is the same as in episode 12 “Swarming Attack”, episode 44 “Vertigo” episode 58 “The Pretender” and episode 74 “I’d Rather Not Talk About It”. 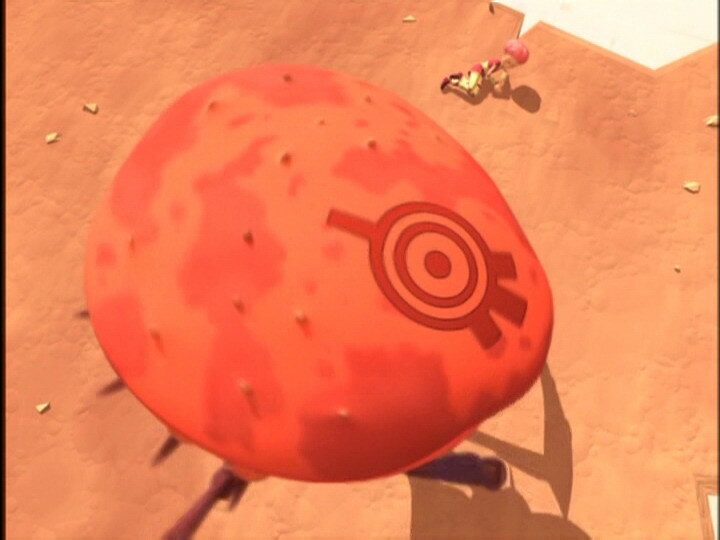 - First time XANA takes control of a living organism and changes the incline of a plateau in one of Lyoko’s Sectors. - The activated tower is the same as in episode 4, “Log Book”. 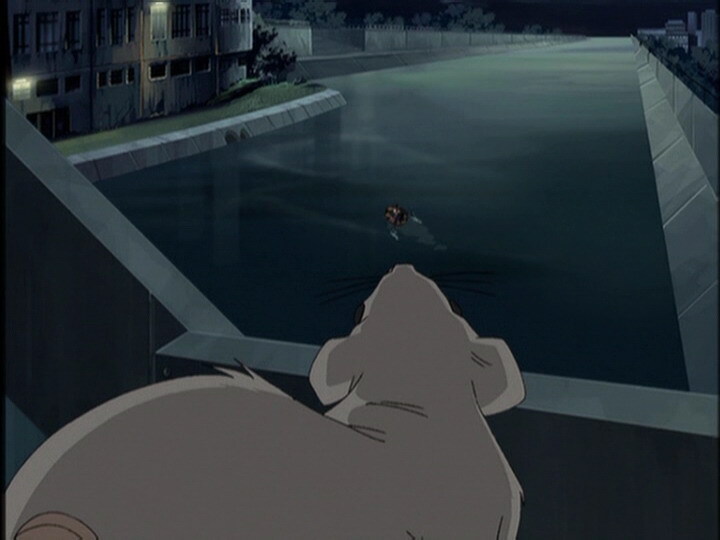 - At the very end, when the psychologist is trapped inside by rats, he doesn’t have shoes; where did they go? This is the phrase used when a tennis match is won. She references the famous animated film by Walt Disney in which the young Cinderella is transformed by her fairy godmother into a beautiful princess. - The puzzle the psychologist works on is none other than the well-known Rubik’s cube. The Intelligence Quota or IQ is the result of psychological tests which can evaluate someone’s intelligence. Aelita: What’s a library, Jeremy? Jeremy: A databank where everything’s printed on paper, and where you can’t make any noise! 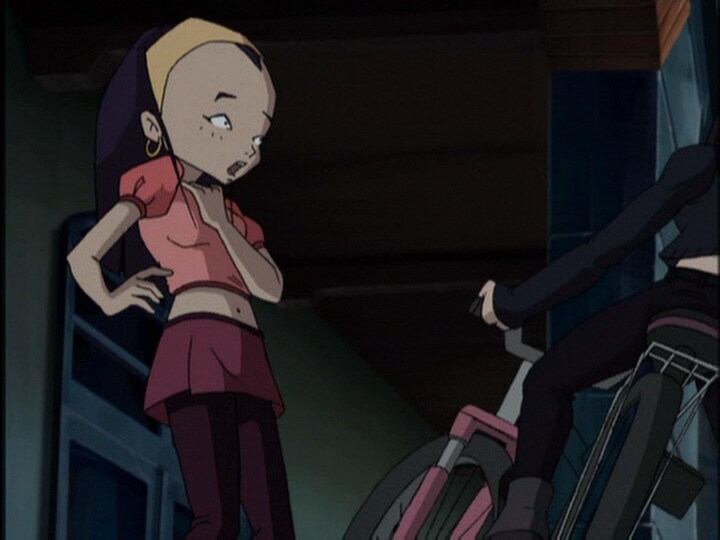 Aelita: Oh, because I guess you need silence to concentrate on what you’re studying! Jeremy (watching Odd and Ulrich playing with a ball of paper): Yes, and so as not to miss the match point! Odd: Are you saying that he’s going to send you to a school for like, future Einsteins? Yumi: That is serious! 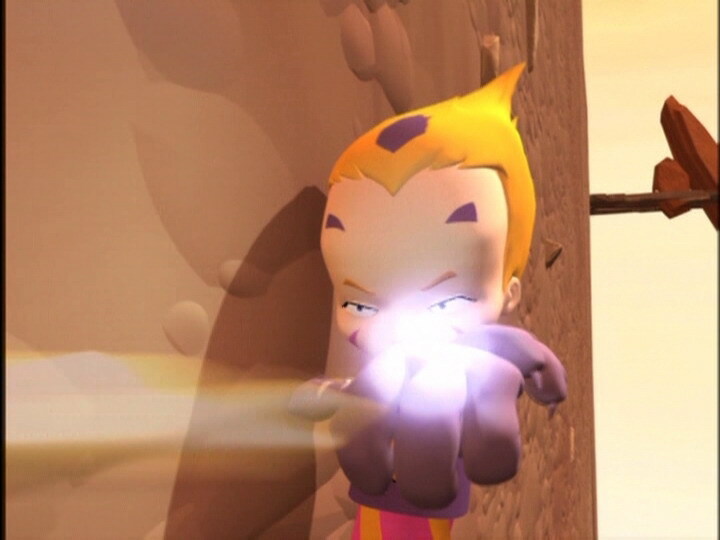 If you’re not here we can never go to Lyoko again, and XANA will be able to do what he wants! Jeremy: The psychologist creep couldn’t wait to talk to my parents. Odd: What’s the big problem? You mess up on the tests, and they’ll think you’re a big moron! Nobody’ll ever know! Mr Klotz: Now, to start off I’m going to give you a multiple choice test. It’s a test in which you...well, I’m sorry, I’m sure you already know! Jeremy (acting stupid): Who, me? No! Ulrich: So what’s for dinner? Odd: Oh I dunno, some kind of hash. They all taste the same! Jim: Aaaaaah! Don’t panic, I said! 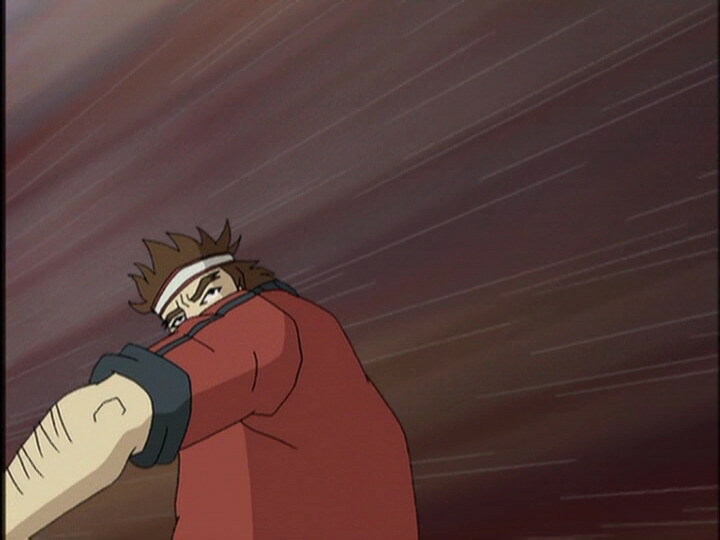 Just get out of my way! Yumi (to Sissi): Your carriage, Cinderella! Jim: Hey, wait, come back! What are you doing? No, come back! H-hey, come back here, hey! Mr Klotz: Stay…please don’t go! I’m afraid of rats! Aah! 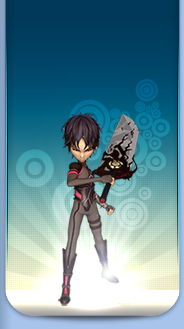 Yumi: I virtualised you too far away from Aelita! Odd: That’s ok, we could use a little exercise to get warmed up! Ulrich: Your two knights in armour have come to protect you! Jeremy: Anyway, I’ve got a foolproof way of flunking: I’m gonna get all of my answers from Odd! Odd: Yeah, yeah, go on, laugh your heads off. But who knows, you might be in for a big surprise!